The following post was written by Jennifer Spatz. Jennifer enjoys combining family travel with the opportunity to give back as much as we do. She also values getting to know local cultures in authentic settings. We are hoping to join her and her company, Global Family Travels on their summer trip to Ladakh in July. She previously shared about another GFT trip here. Although some may think of India as a crowded and noisy destination, it doesn’t have to be. 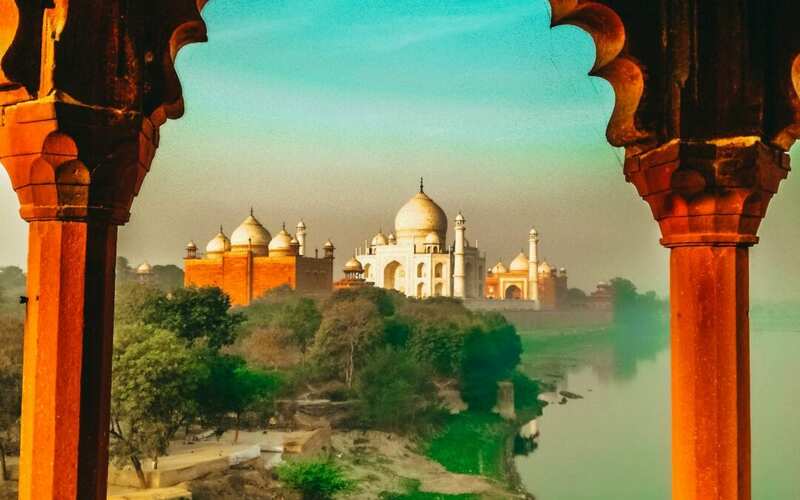 Many travelers don’t realize that India has many quiet regions that offer opportunities to experience Indian culture at a slower, more laid-back pace. 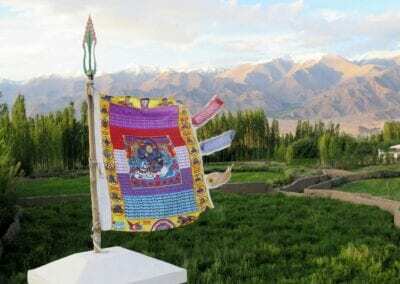 Two of the country’s most relaxing places are the spiritual region of Ladakh, in the north of the country, and sultry Kerala, in the southern region. As a result of having a dad in the foreign service, I had the invaluable experience of having lived in six different countries as a young girl. I started my company Global Family Travels in 2009 after realizing what I loved most was connecting people through travel, building ties through compassion and the understanding that even though we may live in different environments, we’re really all the same. Although I had visited India many times on my own, both as a traveler and a tour guide for my company, I got the chance to finally bring my family with me in 2017. 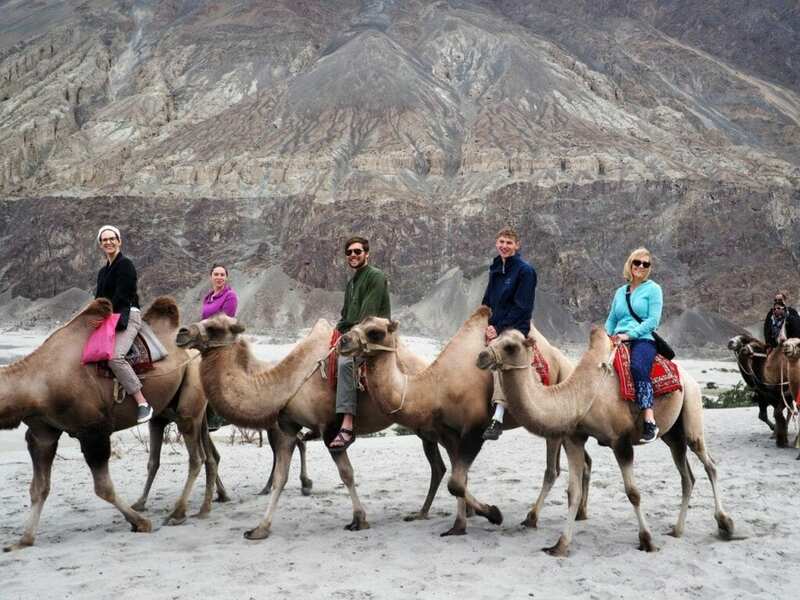 It was our time in Ladakh that remains one of our most cherished family memories. 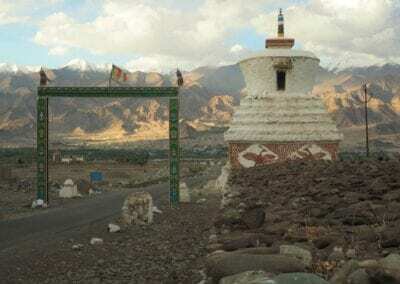 Set high in the Himalayas, on the western edge of the Tibetan plateau, beautiful Ladakh, at the crossroads of the Silk Road, was once an independent Buddhist kingdom. Today, it’s still often called “Little Tibet,” and remains one of the last places in the world where Buddhists live their life unrepressed. 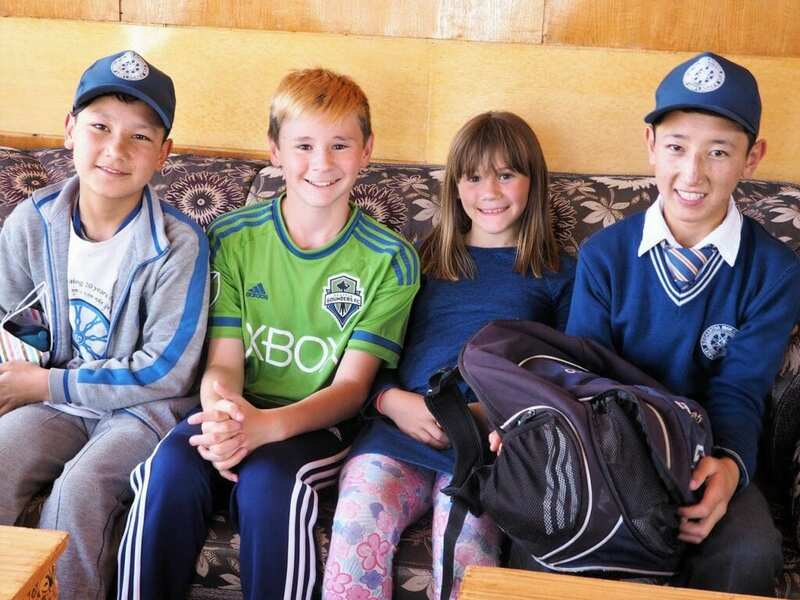 Our family traveled to India with two Seattle Middle School teachers who were scouting locations to take their students on annual cultural immersion trips. I wanted to introduce them to my company’s partner, the Siddhartha School Project (SSP), a private school with over 400 students, from nursery school age through 10th grade. Founded by a Tibetan monk and friend of the Dalai Lama, Khensur Rinpoche, this school is exemplary in its efforts to preserve and enhance Buddhist culture. Through a non-profit dedicated to supporting the work of the SSP, my family has been sponsoring a student there, Stanzin Tsephal, who is my son’s age. Spatz children with Stanzin on the right. I was so excited that Stanzin and the rest of my family were finally going to meet and we would get to visit his family’s home. Right away, I noticed the photos of us that I had sent his Mom, 8 years ago, hanging in their kitchen. It really touched me. Stanzin’s family presented us with beautiful hand-made hats and socks made by his Mom and Grandma. 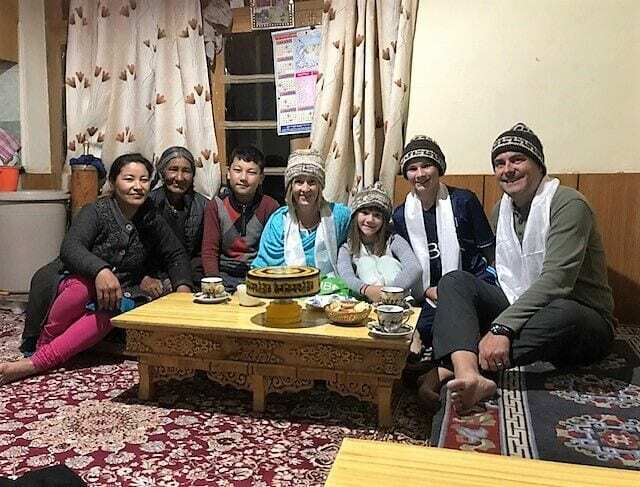 The highlight was our homestay with a local family in Stok. We spent precious time helping with daily chores, tending animals, working the fields, and just getting to know each other. 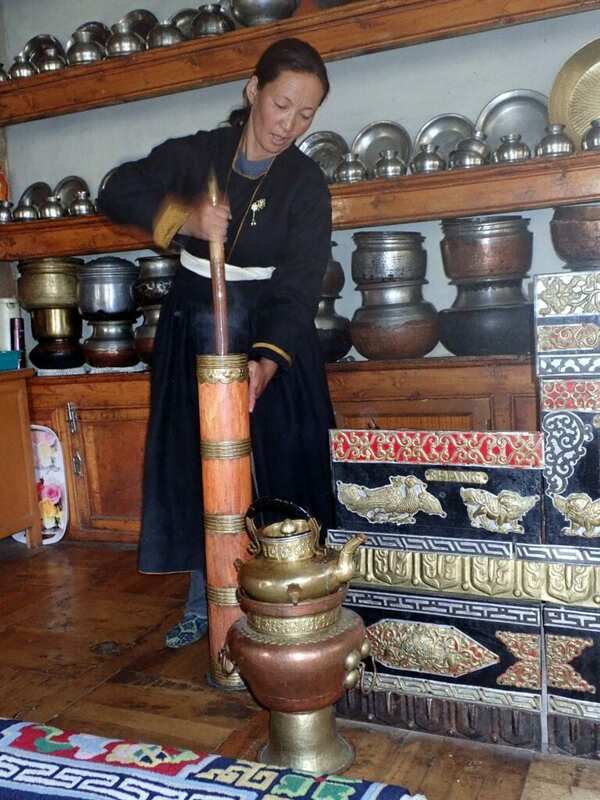 We shared traditional Ladakhi meals, which were always accompanied by the famous “butter tea,” a salty tea made of yak butter. My kids recall our homestay vividly and fondly. 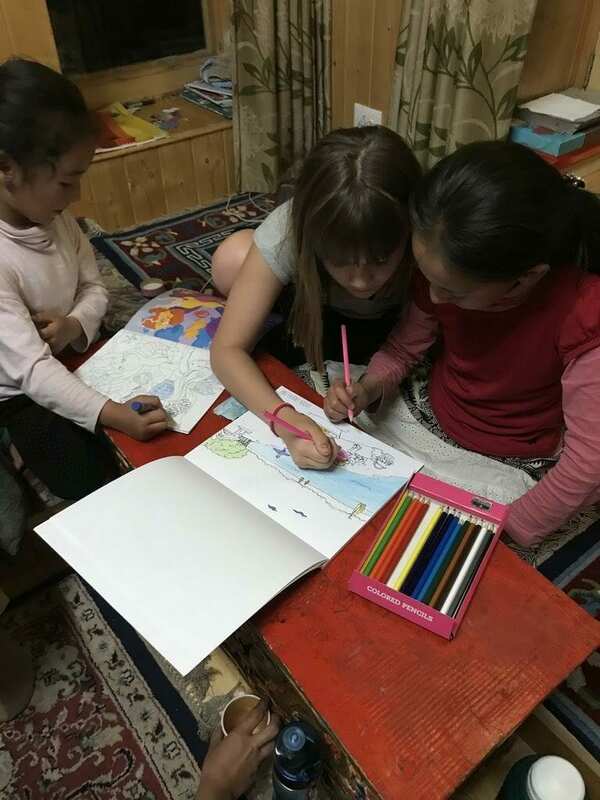 My daughter, Arlene, who was 10 at the time, had fun drawing with our host family’s two girls, running around the garden of our homestay with them and sometimes visiting a local park with them. My son, Elliot, who is two years older than his sister, says his time in Ladakh changed his perspective on life. He was amazed to find that, even though the kids he hung out with were so culturally different, he still connected with them over shared interests and passions, such as playing soccer and cards. 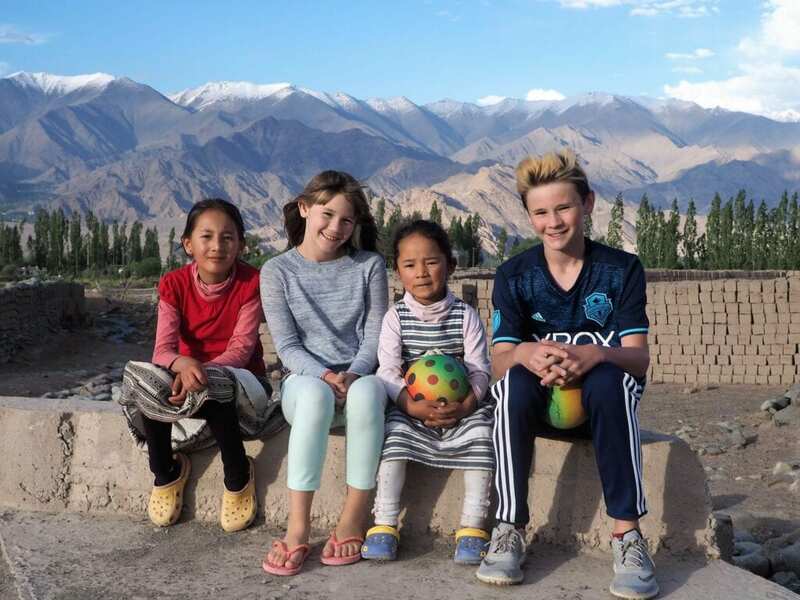 Elliot never expected to play soccer at 12,000 feet with a beautiful monastery (Shey Gompa) behind him! 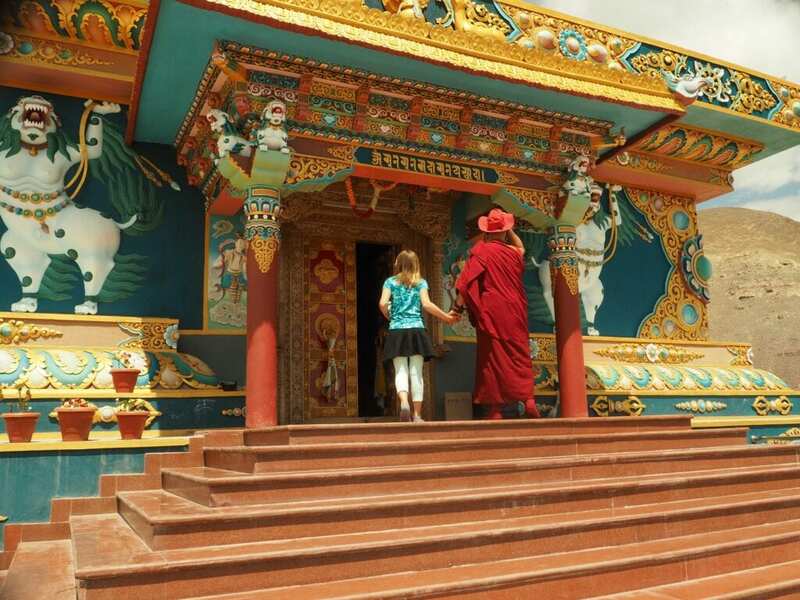 For my art-loving daughter, it was so much fun to visit the local monasteries with the Buddhist monks who founded the Siddhartha school. She learned a great deal about the meaning of the art in the “temples,” as she called the monasteries. 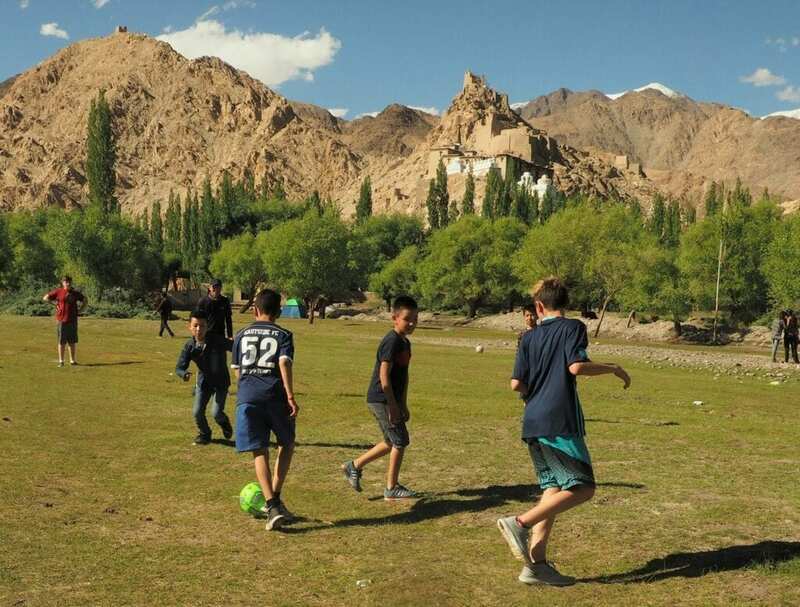 Every summer, I get to introduce new families to Ladakh through our Global Family Travels signature 12-day program: Ladakh – Learn, Serve & Immerse, which includes a service project at the Siddhartha School Project. 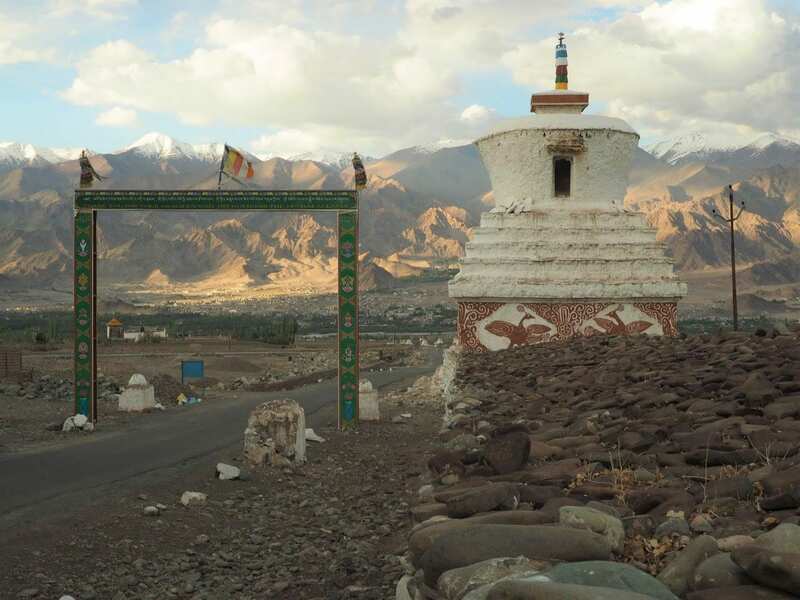 And this year, we are also offering an Art of the Silk Road Trip to Ladakh! Both trips include activities that bring India to life, a rickshaw tour of Old Delhi, a ride through the world’s highest drivable pass to Nubra Valley, and a ride on a Bactrian (double-humped!) camel! As we continued our exploration of India, we arrived in Kerala. Set along a 375-mile coastline in the southern region of India, Kerala is known as “God’s Own Country.” It’s famous for its palm-lined beaches and picturesque backwaters, including a 560 mile network of canals that have served for centuries to link the spice plantations to the ocean. 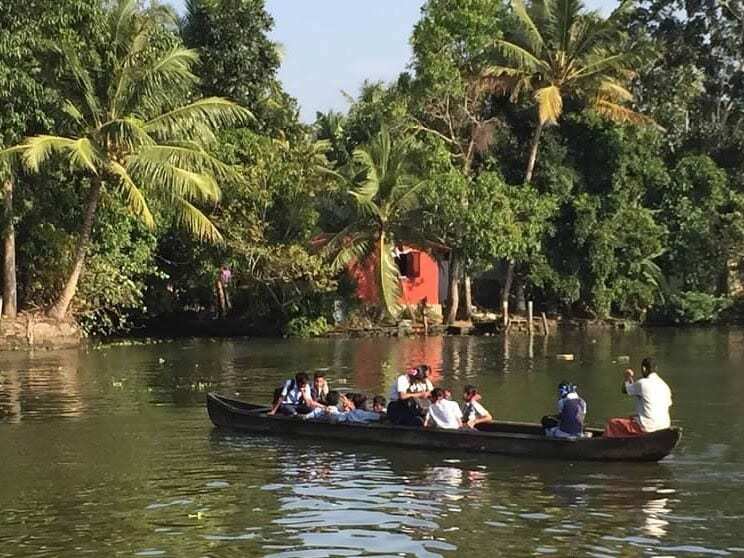 Here, my family explored the Kerala region the same way a traditional Indian family would have traveled the region, in a traditional houseboat called a kettuvallum. These boats have wooden hulls and are held together with coir (woven coconut fibers) instead of nails. From the water, we glimpsed scenes of ordinary Indian life; women doing chores, children paddling to school in canoes and fishermen casting nets. My kids thought it was so cool to spend a night on a houseboat and they loved seeing how people lived in the rural villages. Elliot and Arlene not only learned to climb a coconut tree, but they also learned to appreciate how important these trees are to Indian culture, since locals use all the different parts of the coconut tree to make useful items such as mats, rope and thatched roofs. My husband and I learned how to fish the traditional way, with a bow and arrow. We all got many opportunities to learn to cook Indian foods in people’s homes, paddle in canoes around villages and even got the chance to visit an Ayurvedic museum after enjoying yoga. 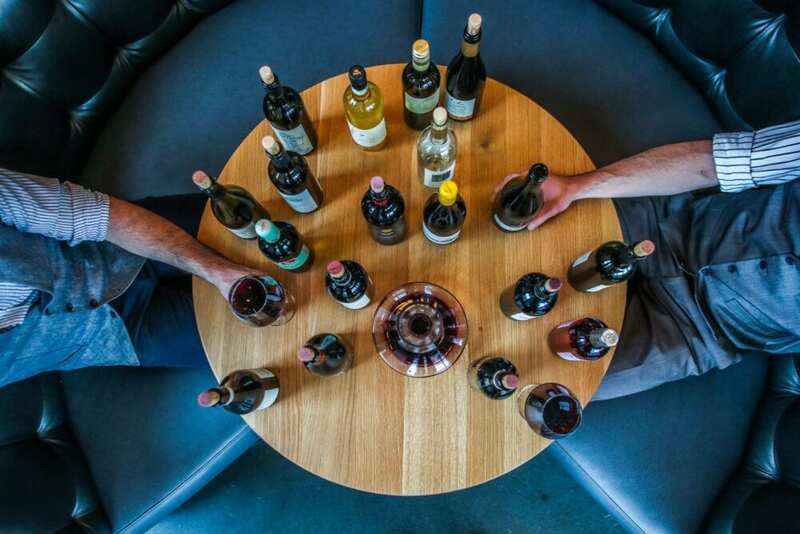 There’s nothing like practicing a ritual in the place of its origin. 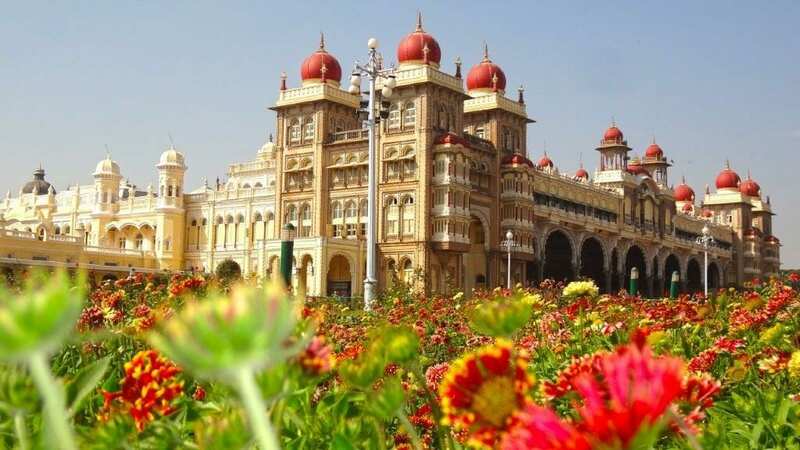 If this 13-day South India trip sounds like the way you’d like to get to know India with your family, do it with us! 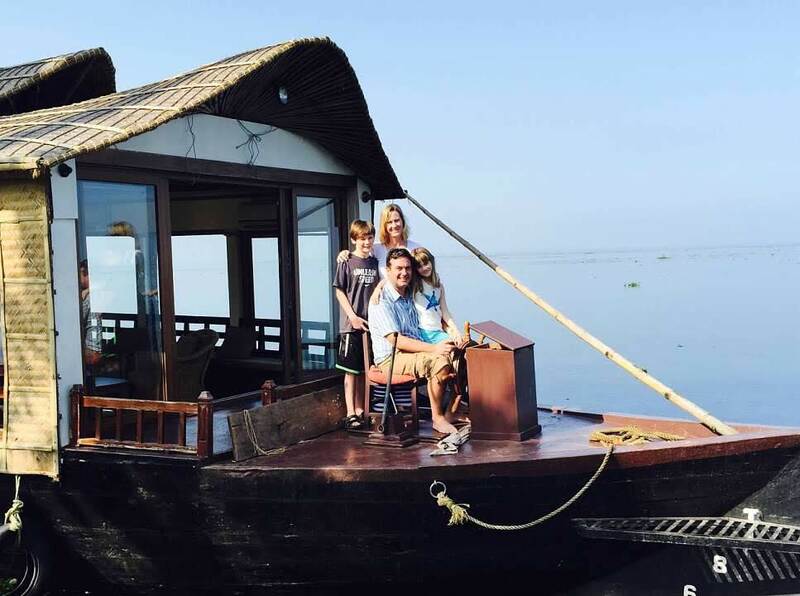 Traveling to India was a life changing experience for my children. 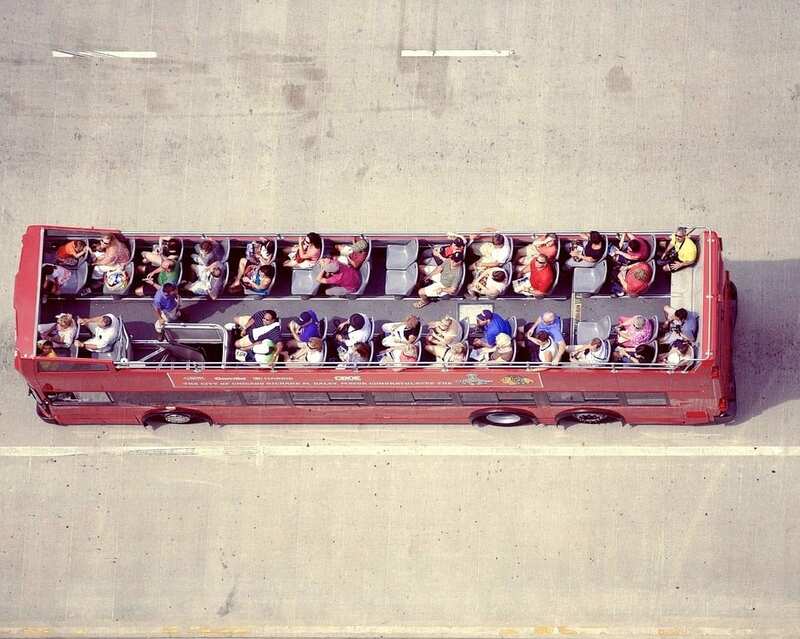 It got them out of their comfort zone and gave them a glimpse into a parallel dimension that is just the daily lives of people who share our world. I loved this article! Blending cultures at such an early age. It just might change the world! What a wonderful family adventure! I’m sure your kids will remember this experience forever. I liked your son’s words about changed perspective of life . I have not visited India. I want to want to go but I have that misconception that it is crowded and noisy. I know that isn’t true of the entire country. I need to get past this. And even if it were true, Cairo and Istanbul are crowded and noisy and I loved those places. This looks like a lovely family experience. I’m all for families traveling. Yeah, I think it’s definitely where you go and how much time you spend there. The first part in the North is almost undiscovered by tourists I hear. Can’t wait to visit and see!